Even if I wanted to, there is no way to sugar coat it. The Blue Jays are off to a terrible start. Josh Donaldson is hurt. Edwin Encarnacion’s absence is dramatically affecting Jose Bautista who is batting under .200 with 29 strikeouts. The pitching staff has the 24th worst ERA in the MLB, and their pets’ heads are falling off! The Blue Jays are hitting for low averages as a team and giving up a lot of runs. The Yankees are doing the complete opposite, so the Blue Jays should be handled quite easily. A weekend series in Wrigley against the defending-champion Chicago Cubs (feels weird to read that, right? Still pretty hard to believe) will be the first real non-divisional test for the Yankees. The Cubs are treading water early on, but sit in first place with a 12-10 record. The Yankees didn’t perform particularly well in Pittsburgh playing by National League rules, so don’t get discouraged if the Yankees falter. The Cubbies and the Bombers will play on Sunday Night Baseball in the last game of the series. That is must watch baseball for any baseball fan. After three in Chicago, the Yankees head over for a two-game series in Cincinnati. The Reds are in last place, but are only 2.5 games back of Chicago with a 10-13 record. The Yankees are the better team so they won’t go in scared, but National League rules give the Reds a distinguished advantage. The 2015 play-in game still stings when I think about it. After making the playoffs two years ago, the Astros disappointed and missed out in 2016. Both the Astros and Yankees finished with an 84-78 record. However, the 2017 Astros are coming out of the gate blazing hot. By throttling the AL West to a tune of 11 wins in April, they own the best record in the American League at 15-8. This will be another early test for the Yankees. The Astros pitching staff is led by Dallas Kuechel, who is pitching to a 1.22 ERA and a 4-0 record. Yuli Gurriel, Josh Reddick, and Brian McCann are off to great starts, and once Carlos Correa gets hot, the offense will be fierce. There will be many home runs hit in this series. Kauffman Stadium in Kansas City is one of those “I have to make it there before I die” ballparks. Tropicana Field is one of those “I have to make it out of here before I die” ballparks. The Yankees will play three against the last place Royals who have seemed to close their window. Only two years removed from back-to-back World Series appearances, the Royals no longer look like the powerhouse they once were. Afterwards, the Yankees travel to Tampa Bay for three more with the Rays. 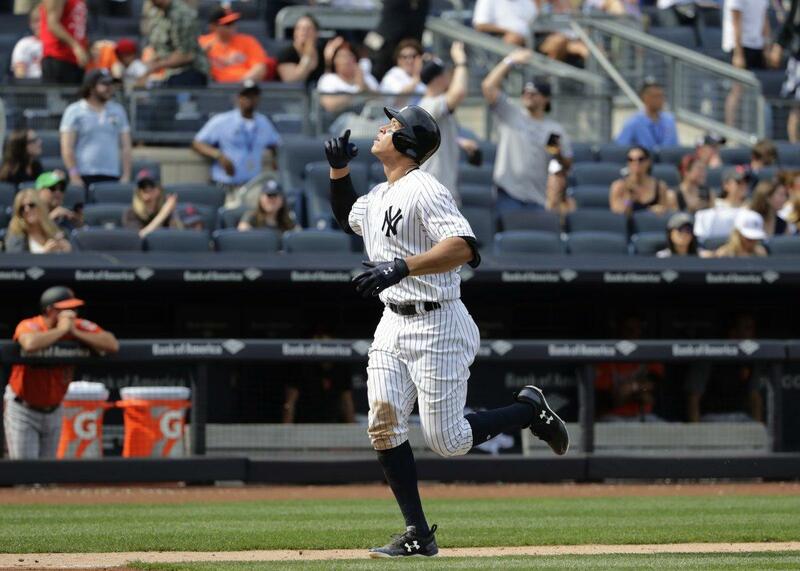 The Yankees lost two out of three in Tampa to open the year, inciting panic after a 1-4 start. Since then the Yankees have gone 13-3, including a sweep of the Rays at home. After 11 road games in 16 days, the Yankees finally return for a home stand against the Royals and the Athletics. Hopefully by now Gary Sanchez has spent a couple games back in the lineup and is getting back in the groove. 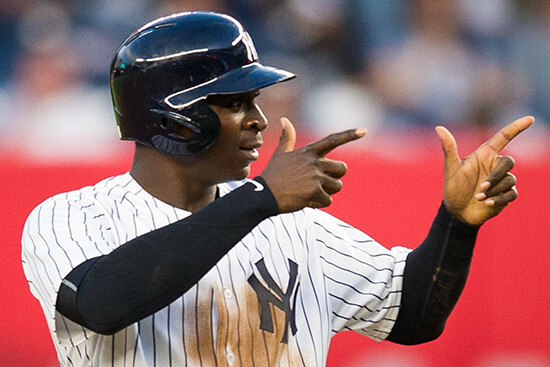 By the end of May, Didi and Gary should be acclimated and the lineup will be complete. Lookout. It is tough to predict what can happen over the course of a month, but the Yankees and Orioles are both on track to be great this season. The Red Sox, Orioles, and Yankees all have playoff potential. But the Orioles are the most balanced of the three, and have the best overall player in Manny Machado. If the Yankees and Orioles are duking it for first place at the end of the month for the second month in a row, I think Yankees fans would sign up for that. Prediction: Yankees trip up early in the month, but rebound well against inferior teams. Go 16-12 in May.